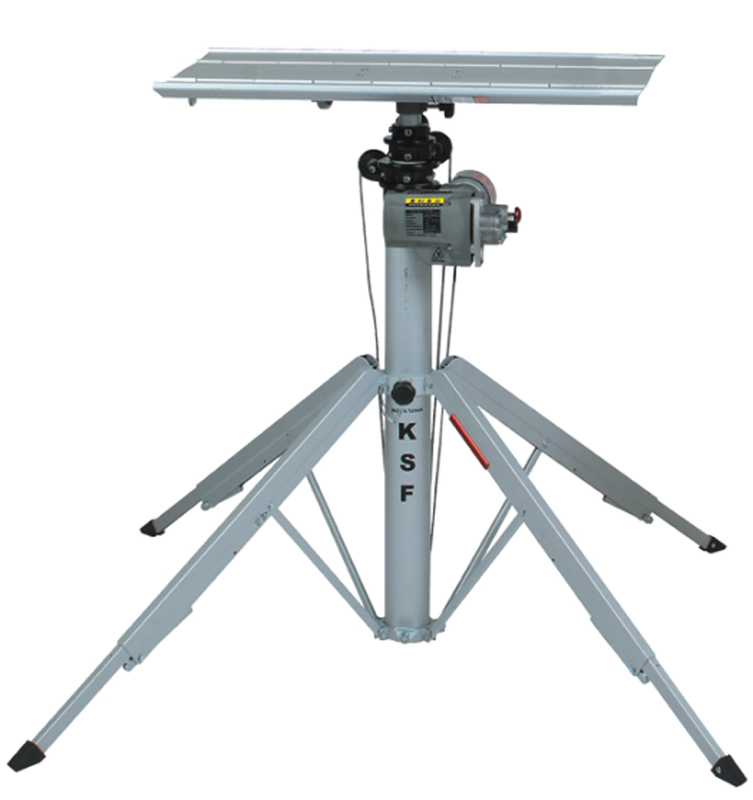 KSF PORTABLE LIFTER multi-purpose lifter for HVAC, Awning and more..
Telescoping Legs – For uneven surfaces, stairways, slopes etc. 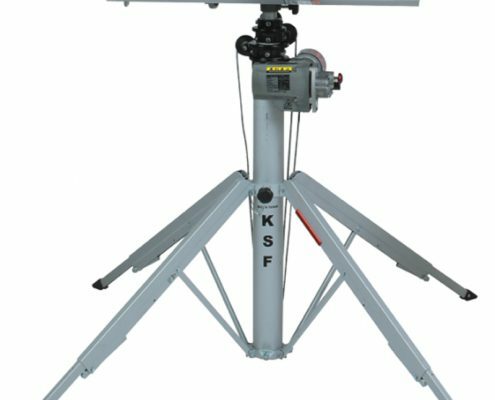 Level in Mast – Ensure mast is vertical before operation. 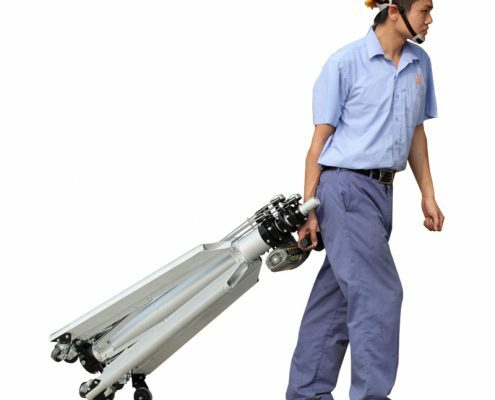 Telescoping Mast – Compact, Strong and Light – made with robust, specially heat-treated aluminium. 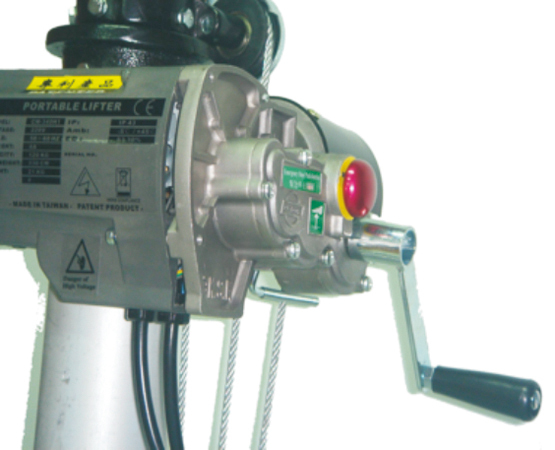 Electric Motor – Variable speed controller with long cable and belt clip. 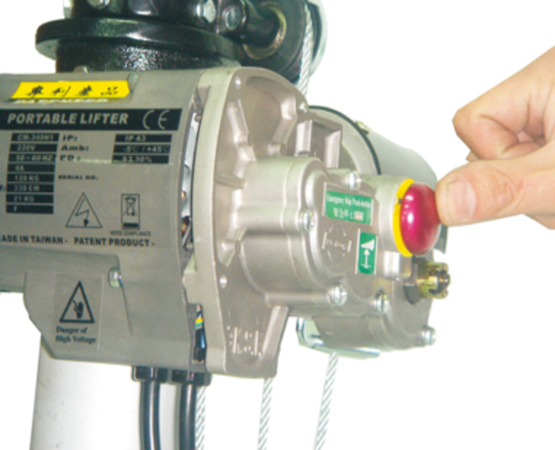 Manual Controls – lf no mains power available, use electric drill or handle to wind lifter. 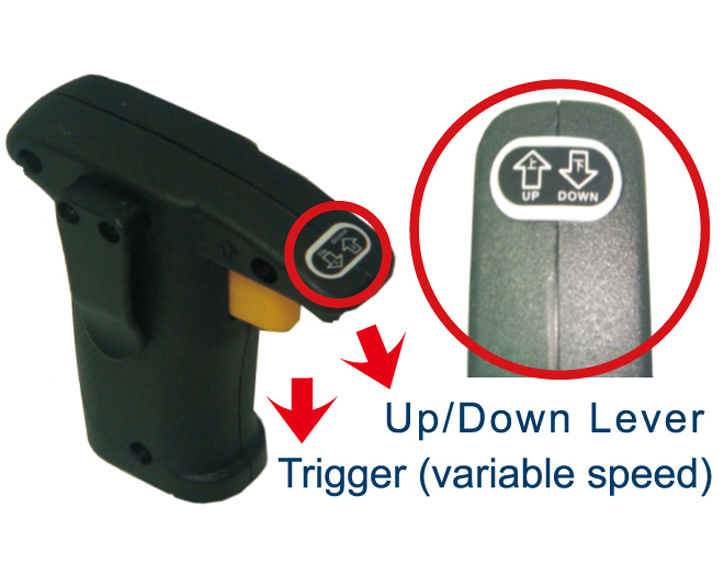 Emergency Stop Button – Also used to switch to manual control. 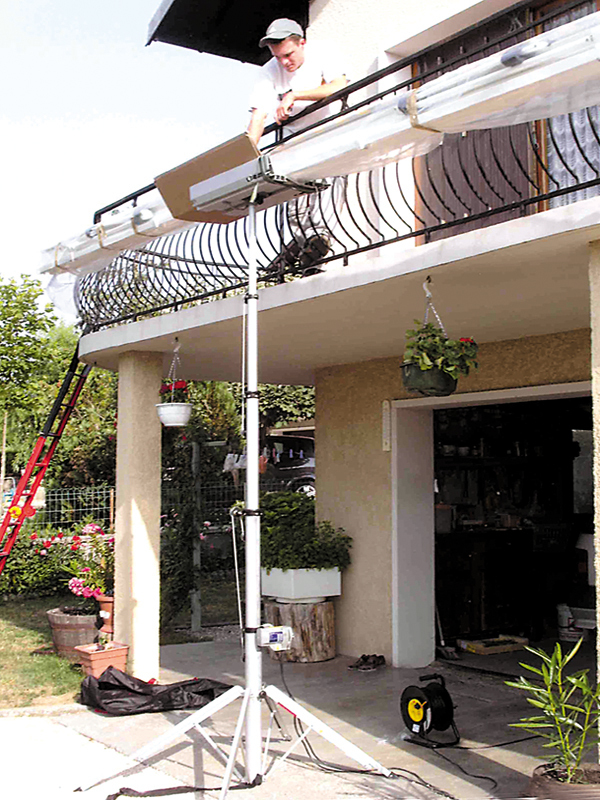 Setup in 30 seconds – No tools required. 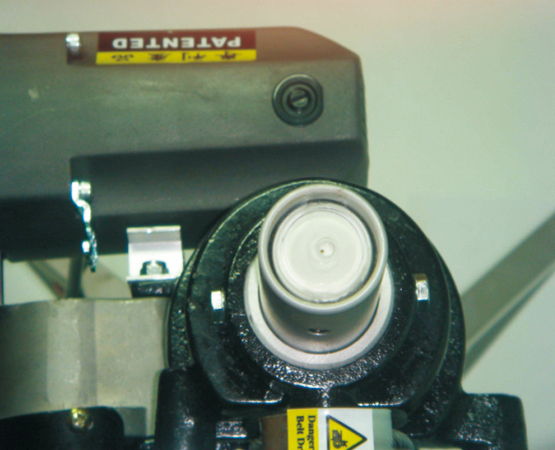 Overload Cut-Out – Fitted with overload clutch for safety. 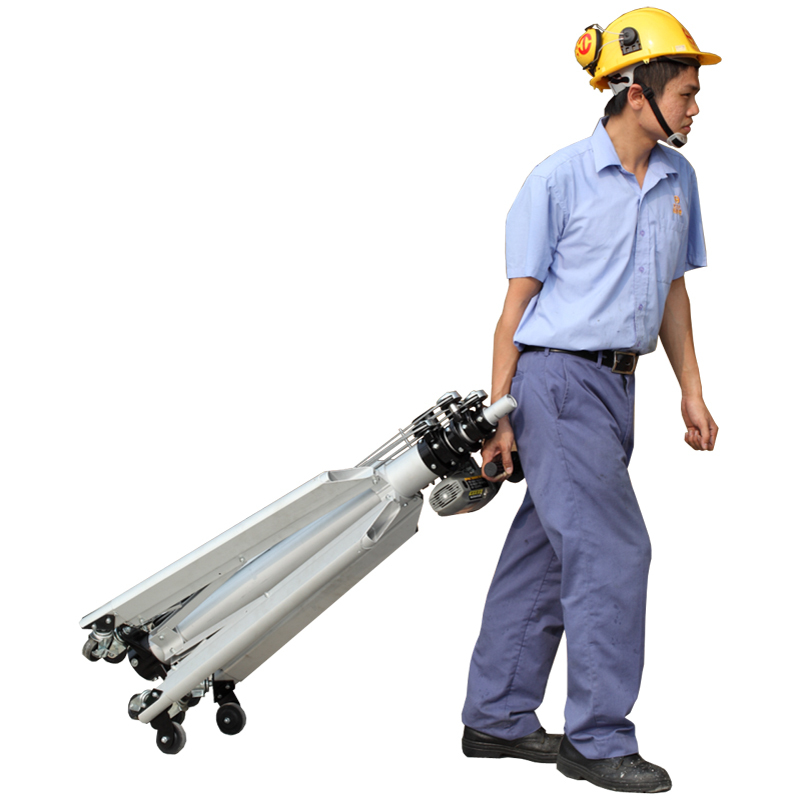 Wheels for Mobility – Included with CM520 – optional accessory with CM340. 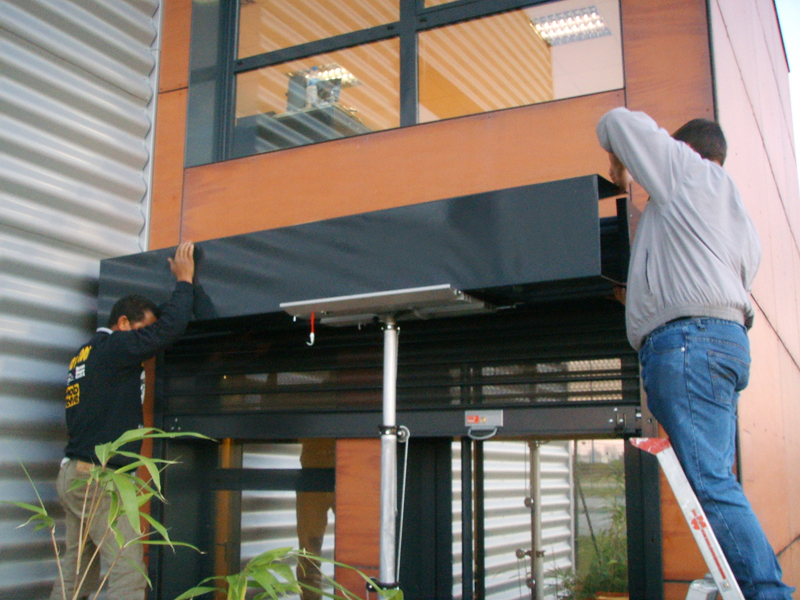 Retractable Lea – Lift loads adjacent to wall. 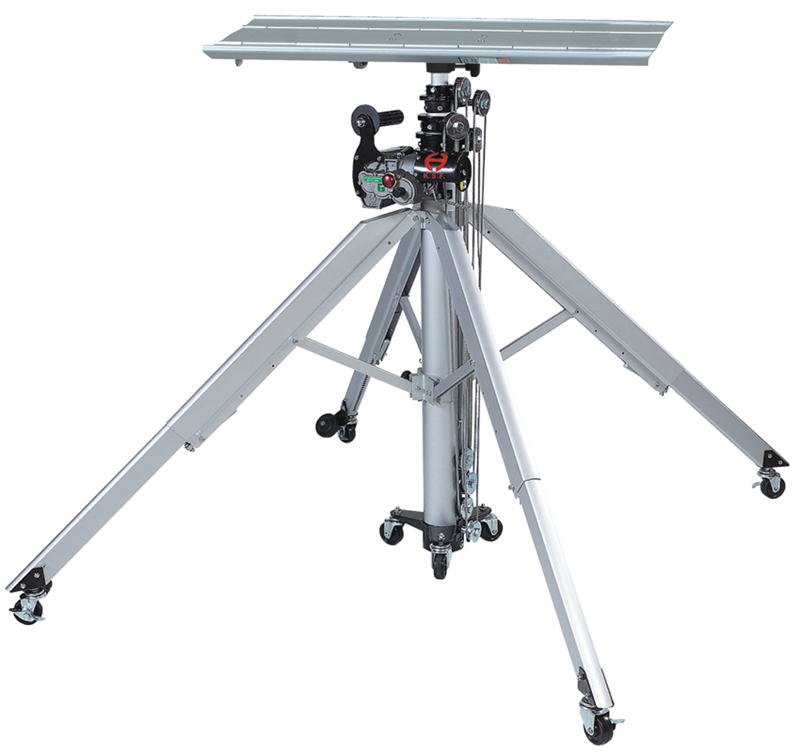 Fine Positioning – Align load precisely with variable speed controller. For locations with on mains power. Ensure mast is vertical before operation. 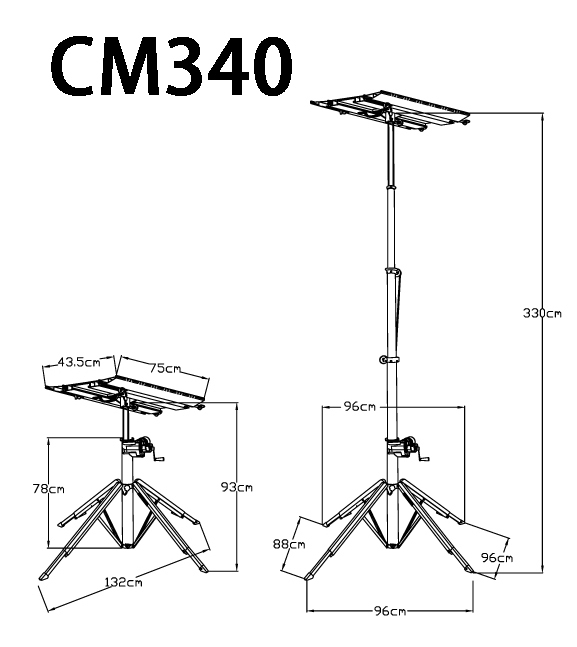 CM340 With Optional Wheel Kit. 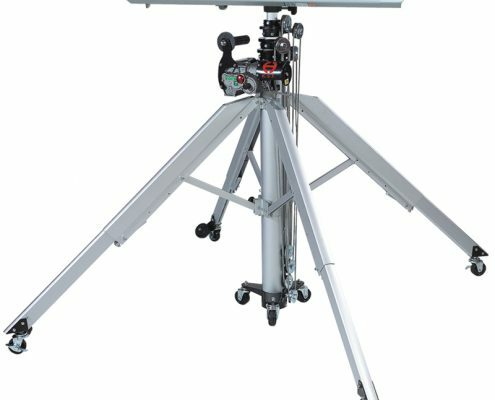 Plasterboard cradle – highly manoeuvable. 2. 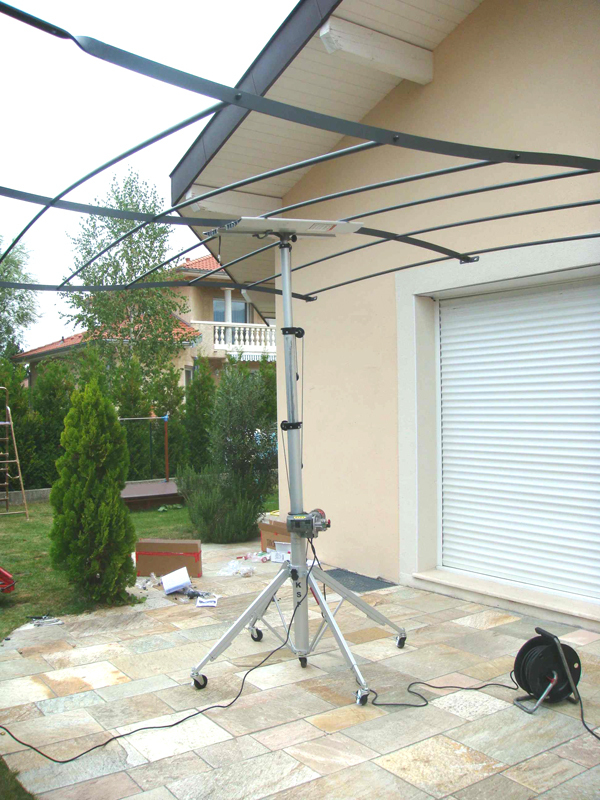 Extension arms – for awning and garage door installations. 3. 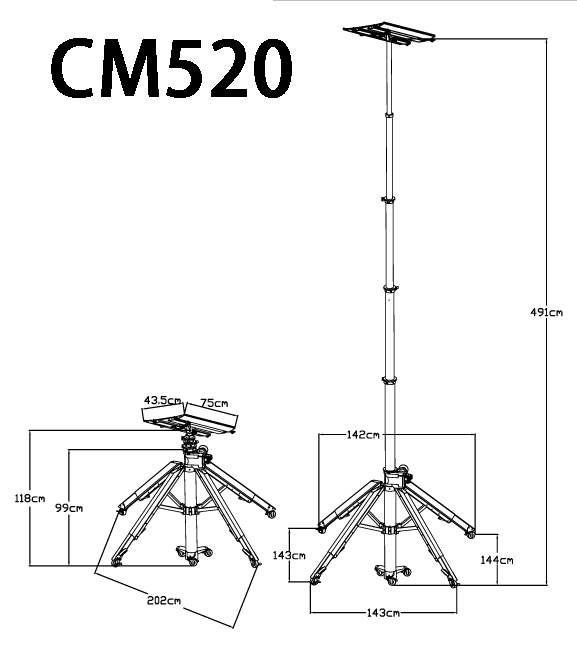 M340 – Optional Castor accessory kit.